The Central Connecticut Celtic Cultural Committee (C.C.C.C.C) has been formed for the purpose of fostering, promoting and celebrating the cultural and historical contributions of Irish and Irish-American individuals and groups in Central Connecticut. In addition to sponsoring the Greater Hartford’s Annual St. Patrick’s Day Parade, the C.C.C.C.C also sponsors the Celtic Sons and Daughters Scholarship Program. This Scholarship Program recognizes the personal and educational achievements of Irish and Irish-American young men and women, as well as their contributions to their community and their interest in promoting the culture of their heritage. Award recipients (A Celtic Son and Celtic Daughter) will each receive a $1,500.00 scholarship and an Aran Sweater. Applications will be reviewed by an independent panel. All applications are redacted during review to eliminate bias. Award recipients will be chosen and notified by January 27, 2019. 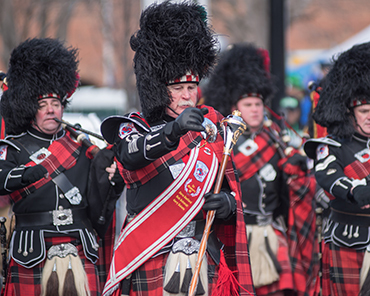 *	Availability to attend the Parade Mass on Friday, March 8, 2019 at 7:00 p.m.
*	Availability to participate in the Greater Hartford St. Patrick’s Day Parade on Saturday, March 9, 2019 at 11:00 a.m.